Using our experience in street dressing and outdoor general urban decoration we provide a range of services tailored to suit the needs of our clients. Why do we specialise in lamppost banner flags? Lamppost banner flags are an ideal, cost effective and highly efficient means of communicating with the public in a local setting. Lamppost banner flags engage directly with the public as they go about their daily business. Whether this is publicizing a festival or used for a sustained campaign such as marketing the town as a regional shopping destination. We work with all local festivals and events, from two day long hill walking and cycling festivals to year-long town centenary events. We help event organisers create a festival atmosphere while also bringing colourful, attractive and tasteful street decoration and, importantly, raising the public profile of the event. 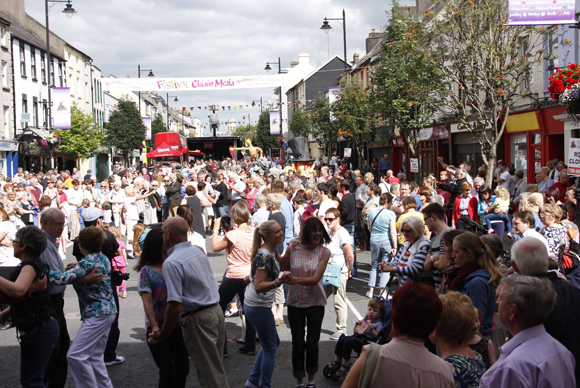 Festivals and events who get the most out of our services are ones that are aiming to develop local awareness and create a strong festival feel in the town. Promoting festivals and events is where lamppost banners are at their most effective, creating awareness while adding colour and vibrancy. We work with local councils. Lamppost banner flags provide an unrivaled means to communicate to the local community while providing an attractive and colourful street decoration. 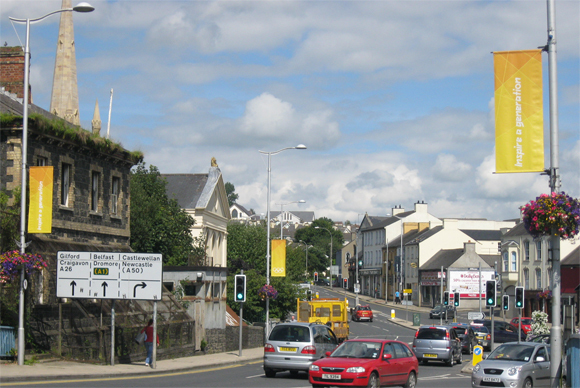 Examples of how local councils have used street banners to great effect include updating the community on the recent achievements of the council or promoting the area as a shopping destination. For larger towns and cities the lamppost banner flags can generate revenue in a tasteful and civically sensitive way by promoting commercial theatre, events and concerts. Councils who get the most from our services are those looking to get the most from their budget and who wish to develop locally focused, visually impressive outdoor awareness campaigns. We work with commercial land owners such as shopping centres, retail parks and airports. Lamppost banners provide an ideal means to communicate to customers while also bringing colour and vibrancy to your outdoor areas. Our clients, such as DFS furniture store, use lamppost banners for everything from delivering customer messages, site branding through to providing an attractive decoration and informing about upcoming developments and events. 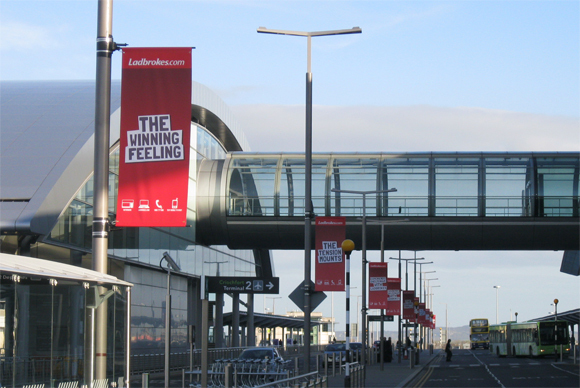 In high traffic locations such as at airports our lamppost banners can generate a revenue for the land owners through advertising. Commercial land owners who get the most out of our services are those looking to dramatically visually enhance their outdoor spaces and deliver a message to their customers in a focused yet attractive way.